Yoga Mats - Which is for Me? Home Exercise Equipment Reviews for Your Fitness Success!! Here is the plan - to provide you all the info you need on home exercise equipment and how to use each of these health-inspiring beauties. Looking for the top information on the best home treadmills, top-rated ellipticals, best exercise fitness steppers, home rowing machines, Weslo recumbent bikes, and aquatic fitness for your private pool? Which home fitness equipment is the best fit for you? Are the most expensive brands necessarily the best fitness equipment brands? P This whole website is dedicated to delivering reliable home fitness and exercise equipment reviews for those of you who want quality information without having to sort through all the exhausting sales pitches. Oh, and losing weight by doing nothing, miracle diets etc. etc. etc. 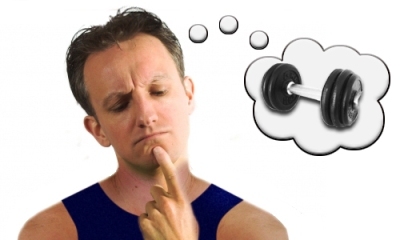 Now when you are bamboozled with all this information it can be pretty difficult to actually find the unbiased and quality information (on fitness weight machines for your own home) you are looking for. Then, you may come across what seems to be a good website related to home fitness equipment. You continue to read down the page getting more and more excited as it seems this site has the information you need until you reach the bottom of the page and there is a nice little spot for you to enter your credit card details so you can find out the secrets of what this guy did. No quality info! Believe me, I feel for you! I have experienced pretty much the same and felt the exact same frustration that can and does result. I very much like to think of this web site as a growing top resource where you can come and find out quality information that will help you achieve your home fitness goals. You can feel totally comfortable knowing that the information on this site was intended for YOU! The type of person who simply wants to know exactly what you need within a doable price-range. This home fitness equipment review site will walk you through that information that best relates to you so that YOU can make the decision that is best for YOU! So please feel free to browse around our site and enjoy! Also, remember to bookmark this site so you can come back and visit for new updates on the latest home fitness machines and equipment. If you've any specific home fitness equipment that you'd like reviewed before you plunge in, please send us a note and we will get right on it! Please also tell your friends and family, if they are seeking the same type of fitness information! Thank you very much for visiting! If you have any feedback, or request for reviews, please feel free to contact us at our contact form. We enjoy hearing from you. Have fun everyone, enjoy and cherish your health! Would you like to share your knowledge about keyphrase? Contribute to www.quality-exercise-equipment.com!